I want to explain abit about ganglion cyst for others reference. Please google if u require medical terms about this.as of layman's term, it is actually a crystallized liquid from your joints that actually leaked out from its usual limited space (in between our joints) and combined and crystallized. After some time it might be as hard as your bone and it can grow bigger. Many reasons.some possible cause might be post trauma caused by a hard hit/terhentak/something heavy fell/you lift heavy objects.. my case I pun x sure. Well it depends on the type and also the location.if you found any bulge in your body, first thing first please see your doctor and never assume anything.if might be fat or ganglion cyst or something else. If its a real ganglion case, usually its not dangerous but eventually you are advise to remove it. Yes according to my doctor.my boss had one at her finger and its so small but really painful.even the gp I first met to get GL had one.so it is quite common. When do I need to remove it? Again it depends on your condition.if it is very painful usually people remove it immediately.if it is so small and not painful perhaps you can ignore it.for my case it is not painful but it is relatively big and might get bigger, I plan my surgery so I can finish my urgent tasks in the office first before the surgery and recovery period. Is it painful during removal? And post surgery? 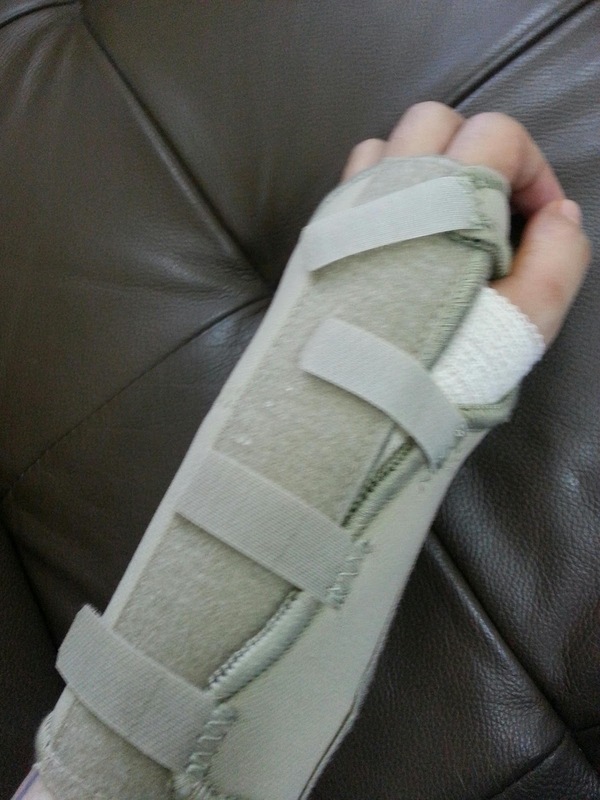 I was fully anaesthetised so obviously I cant feel the pain.please get an orthopedic surgeon to do it coz they are the expert.my procedure lasted for about 40 mins and after I gained conscious I had a light meal and can go home right away(just a Day Care).however my hand was bandaged and I need to wear a splint mainly to minimize my movement for the wound to heal quickly.for the first few days my hand was swollen badly, doc said it might be tissue reaction post surgery.slowly it will subside and by a week you can remove the bandage and splint already. So by then you can slowly test your strength until you are fully recovered. I was given 2 weeks mc and I think the duration is just nice for recovery. You can opt to suct it out especially if it is small but there is a high risk of reoccurrence. Because the cyst actually comes with sarung or 'akar' so we need to removed everything.its like if you have a cyst the size of 20 cent coin, the real size might be 50cents like my nurse put it. 2.i can watch my baby near her important milestone; she is about to walk!